Artificial receptors have been employed in molecular recognition for a variety of biological applications. They have been used as materials for sensors, affinity separation, solid-phase extraction, and for research into biomolecular interaction. There have been a number of publications relating to the application of molecular modeling in the characterization of their affinity and selectivity; there are very few publications that discuss the application of molecular modeling to the computational design of artificial receptors. 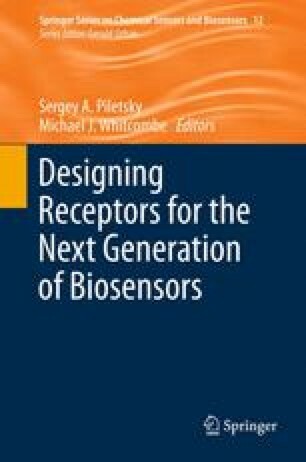 This chapter discusses recent successes in the use of computational design for the development of artificial receptors, and touches upon possible future applications, further emphasizing an exciting group of synthetic receptors—molecularly imprinted polymers.